This month, the world is focusing on breast cancer, and on success secrets, I thought it wise we remind ourselves of some facts. Everyone of us should be breast aware. Being breast aware simply means knowing what your breasts look like and feel like normally, being on the lookout for any unusual changes and getting them checked out by your doctor. 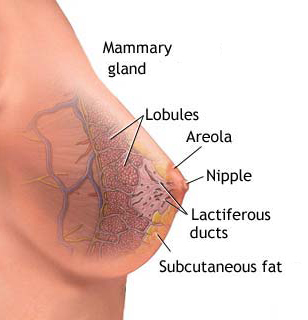 Breast cancer is the commonest cancer in women. Breast cancer ranks as number 2 commonest causes of death from cancer. Worldwide 1million women are diagnosed with breast cancer annually. Every woman is at risk of breast cancer. It occurs less commonly in men. In Nigerians, breast cancer occurs at an earlier age. While in some women you may be able to identify certain predisposing factors, in most women who develop breast cancer there are no identifiable risk factors. IF DETECTED EARLY, BREAST CANCER CAN BE TREATED EFFECTIVELY, in fact there is 90% chance of being cured. Have your health care provider perform clinical breast examination annually if 40 years and above. Have mammogram at regular intervals. Be breast aware, our weapon is early detection and treatment. It’s as simple as TLC... TOUCH. LOOK. CHECK.